The bad news just keeps coming for the bitcoin ecosphere. This article reports that China has ordered its banks to stop providing financial services for any cryptocurrency related transactions. This is important because customers wishing to buy or sell cryptocurrencies have to start by funding their crypto accounts from conventional banking sources. Also, when customers are ready to cash out of cryptos, they need to move their account balances back to traditional banks. Without the ability of crypto-exchanges and banks to interact, the crypto-exchanges are basically roach motels – you can put your money in, but you can’t get it out. Now you can’t even put it in to begin with. Crypto-exchanges also need banking services to pay vendors, employees, electricity companies and others who want to get paid in yuan rather than crypto. Those transactions will not longer be possible. This is all part of a broader crackdown on cryptos by China, which sees them as a threat to the Peoples’ Bank of China’s control of the money supply and capital account. Some crypto enthusiasts shrugged off the news and said, in effect, “No big deal, the business will just move to Taiwan.” The problem is other jurisdictions are taking a hard look also. South Korea is considering a ban on cryptos, although there’s a popular backlash to this because so many everyday South Korean citizens bought into the hype last December and bet their life’s savings on bitcoin at prices of $15,000 per coin or higher. Many of them are now facing financial ruin and want the government to prop up bitcoin so they can recover their losses. Recently Germany and the IMF have issued calls for global regulation of bitcoin. This is likely to be a topic of the next G20 meeting in Argentina. 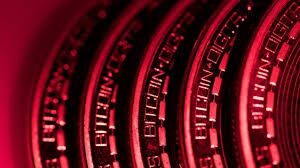 The bottom line is jurisdictions around the world see that bitcoin in particular and many cryptos more broadly are a threat to independent monetary policy and a part of a fraud that can damage their citizens and possibly their economies. The noose is tightening on bitcoin.